Should I File my Taxes Myself? Personal finance experts all agree that taxes are incredibly complicated and if you want to take the maximum amount of benefit that you possibly can with regards to deductions and benefits then you really need to consult an expert when filing your taxes. There definitely are some advantages to filing a return on your own. The most obvious benefit is that you can get it done for free. However, the money you save on going to a chartered accountant may not be worth it because you may have been able to save more money if you filed through a small business tax accountant, to begin with. Small business accounting can get very complicated, and individuals who have very complex financial situations should definitely go and consult an expert before trying to file their taxes themselves. It is very important that every person takes the time to make sure all of their information is correct and that they have updated the CRA with any changes that have recently occurred in their lives. The updating is not difficult, and filling out the forms is not overly complicated. The main reason individuals would need the help of an accountant is to make sure there are no mistakes in their files, and more importantly to make sure they have applied for every deduction and benefit it is possible for them to apply for. If a person is eligible for extra working benefits or child benefits they should definitely ensure they have claimed them when they are submitting their next tax return. A chartered accountant will definitely be able to help a person out with regards to this. What if I Don’t have the Time to See a Small Business Tax Accountant? Previously, there was only one way to get your taxes done, and that was to go and visit your local accountant. However, this is not necessary anymore. 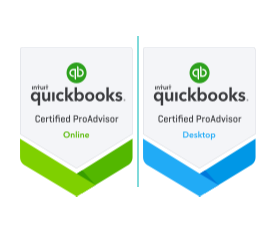 Through the usage of online accounting firms, you can easily get access to professional accountants who will be able to complete your tax filing for you with only a few over-the-phone or online meetings. You no longer need to start up your car and drive over to an office, wait several hours, and then come back home. You simply need to book an appointment and call in when it is time. Trying to file your taxes yourself is definitely an option and you can even go ahead and do it for free. However, the chances that you are missing out on some serious benefits are high, especially if you have a rather complicated financial situation. You should definitely consider at least consulting with a chartered accountant first.